Posts Tagged "Commes des Garçons last chance"
Home » Posts Tagged "Commes des Garçons last chance"
Last chance. 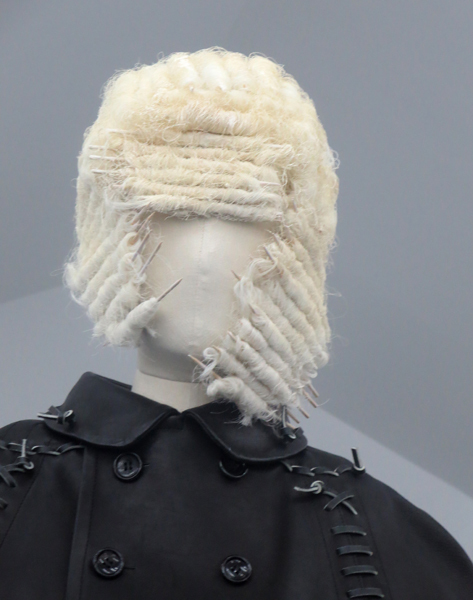 The great Rei Kawakubo/Commes des Garçon: Art of the In-Between exhibition closes September 4. If you haven’t seen the must-see exhibition at the Metropolitan Museum of Art’s Costume Institute, you must see it. You can have free admission at the Met on Fridays from 5-9 pm, and there will be a dance party on September 1 with music by DJ Reborn in the American Wing Café following a fashion design contest and a panel discussion with focus on street style as a global phenomenon. But you can see the exhibition before or after, until Monday, September 4. This photo shows one of the amazing Julien d’Ys hair designs. To see more, CLICK HERE for fashion, and for hair CLICK HERE.